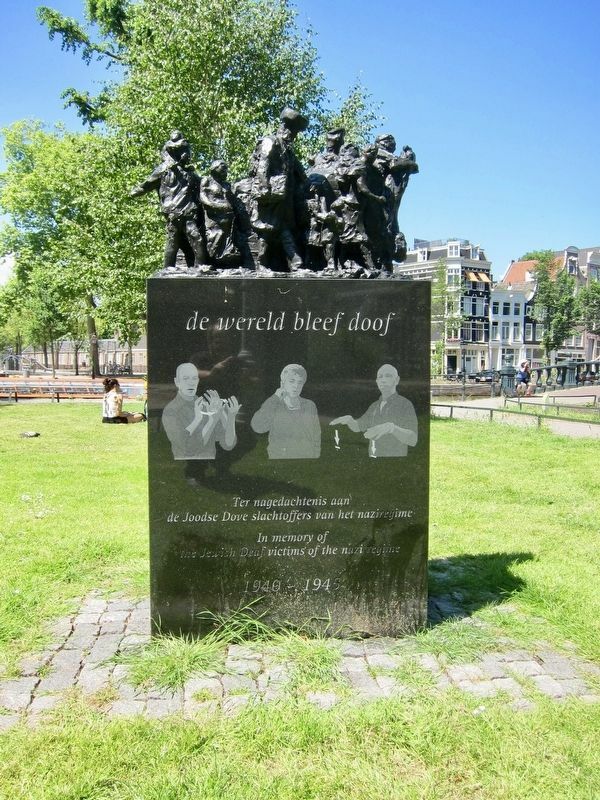 Erected 2010 by Stichting Dovenshoah. Location. 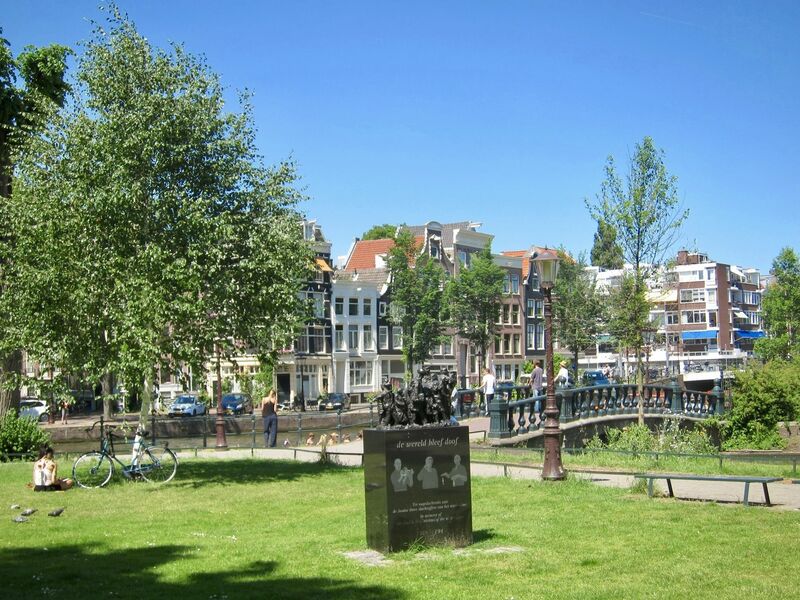 52° 21.983′ N, 4° 54.371′ E. Marker is in Amsterdam, North Holland. Marker is at the intersection of Hortusplantsoen and Dr. D.S. Sluyspad, on the right when traveling west on Hortusplantsoen. Touch for map. Marker is at or near this postal address: Hortusplantoen 1, Amsterdam, North Holland 1018 TZ, Netherlands. Touch for directions. (about 180 meters away); Adriaan Morriën (about 180 meters away); Het Arsenaal / The Arsenal (about 210 meters away); Hugo de Vries (about 210 meters away); Wertheimpark (about 240 meters away). Touch for a list and map of all markers in Amsterdam. More. 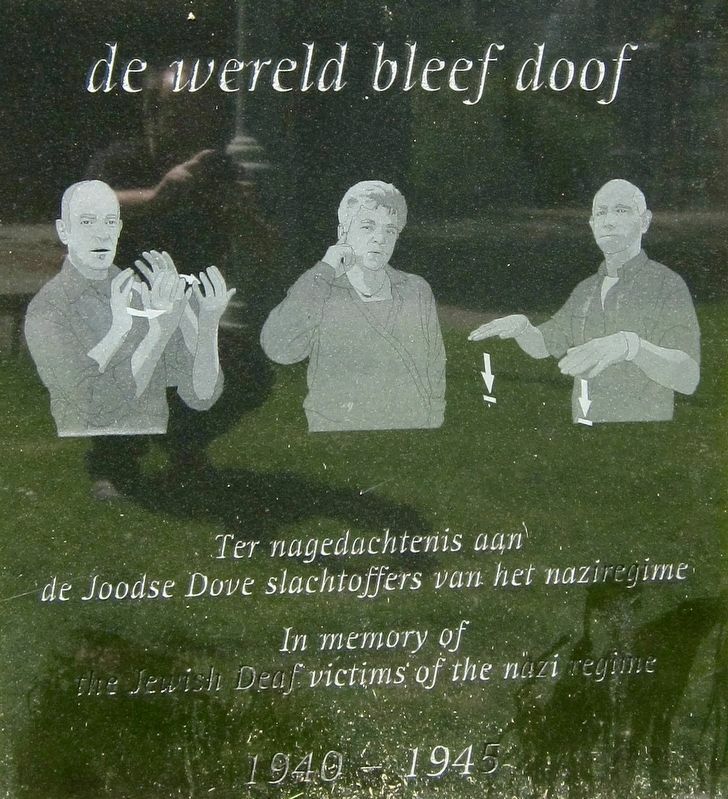 Search the internet for de wereld bleef doof / The World Remained Deaf. Credits. This page was last revised on September 28, 2017. This page originally submitted on July 7, 2017, by Andrew Ruppenstein of Sacramento, California. This page has been viewed 91 times since then and 7 times this year. Photos: 1, 2, 3. submitted on July 7, 2017, by Andrew Ruppenstein of Sacramento, California.